Gas & Diesel | Mauger & Co.
Mauger Energy and its sister companies, Aabbots Energy and Plotts’ Energy serve the commercial, industrial, construction, municipal, and farming industries; golf courses, landscapers and back-up generators with gasoline, on and off road diesel fuel and kerosene to nine counties in eastern Pennsylvania. They include Delaware, Bucks, Montgomery, Chester, Berks, Lehigh, Northampton, Lehigh and Schuylkill counties. Our largest truck can carry 4200 gallons of product and has three compartments along with two different sized hoses each operating at different flow rates giving it maximum flexibility to either quickly drop a large quantity or make a series of smaller deliveries. Our other “Fleet Fuelers” have the capability to fill individual pieces of equipment on site during off hours saving your company or organization big money in fueling time. We pride ourselves on being there when you need us. Our drivers have cell phones so that the key person can communicate directly with the driver when the need is great. We can often make “same day” deliveries as we recognize that many situations are fluid and ever changing. We offer special Fleet Pricing that gives the customer the tools to pay the lowest prices that we can offer. Simply put, the more you use + the quicker you pay = the cheapest price! 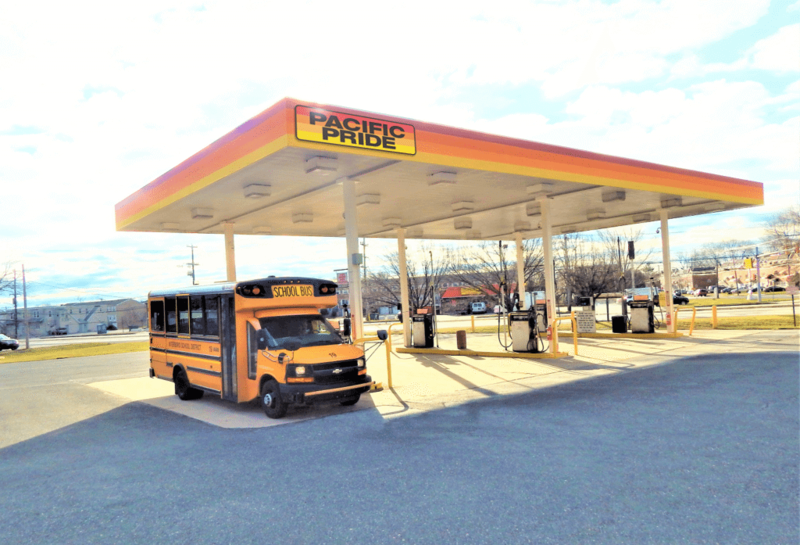 We own two Pacific Pride Fleet Fueling locations. One is located at 1498 Delmar Drive, Folcroft, PA 19032 and the other at Route 452 and Bethel Road, Aston, PA 19014. Upon joining the network, you receive the new Pacific Pride Fleet Advantage card that is accepted at nearly 500 Pacific Pride location across the country as well as Wawa, Exxon-Mobil, Shell, BP and most other fuel retailers. You can go online to www.pacificpride.com, tap in your zip code in the Site Locator and instantly see up to 100 locations where you are able to fuel using the Advantage Card. No need to apply for multiple cards. Just one card, one statement! Have questions about oil heat, Pacific Pride Fleet Fueling or commercial fuel deliveries to include gasoline, diesel fuel, and kerosene, Mike has the answers. Whether you are just buying a home and are new to oil heat, or you have been using oil heat for years, you’ll want to Meet Mike! 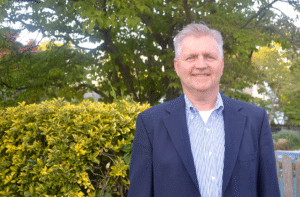 Mike Toth has over 30 years’ experience in the energy business and is eager to put his knowledge and expertise to work for our customers every day. If you have a question about saving energy or are just looking for advice about the best heating oil program or service plan for you and your family, allow Mike to suggest a solution that best fits your home and budget. At Mauger & Co., Inc, our pricing for home heating oil, service plans and fleet fueling are among the area’s most competitive. Our personalized service and attention to detail are what set us apart. This includes our dedicated delivery drivers, service technicians, and customer service representatives. If you are looking for home style service with a positive experience, don’t sign another contract until you Meet Mike! To Meet Mike Today simply call 610-367-6422! Since 1964, we have given our customers the Mauger Advantage, quality service on which you can count and fair prices. Start saving with Mauger & Co., Inc and its subsidiaries today!